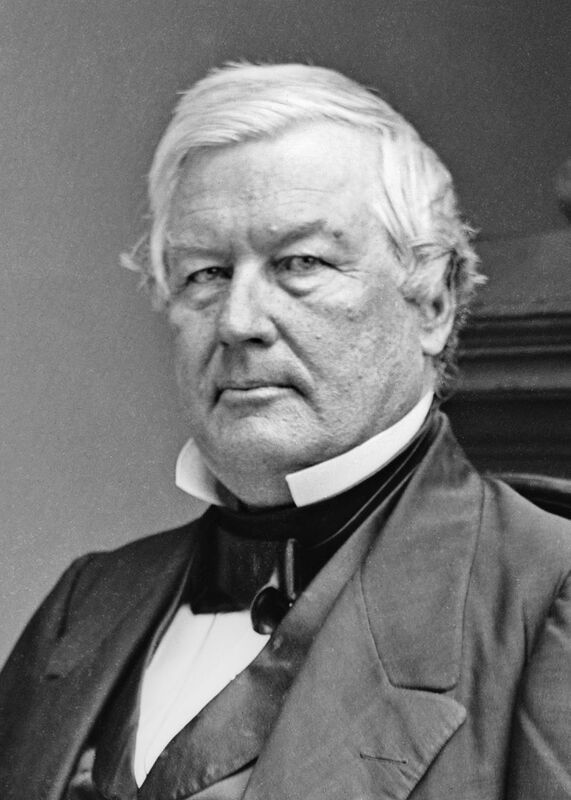 Fillmore was elected vice president in 1848, ascending to the presidency on the death of President Zachary Taylor in July 1850. He served out Taylor’s term, which ended in 1853. Fillmore sought to appease the South by insisting on strong federal enforcement of the Fugitive Slave Act that was part of the Compromise of 1850. This not only alienated the North, spelling the end of the Whig Party, but served to galvanize the abolition movement, giving rise to a militant, radical antislavery faction and bringing the nation closer to civil war.